This enchantinly sweet Lamb, is a 15cm tall plush toy by Ravensden. 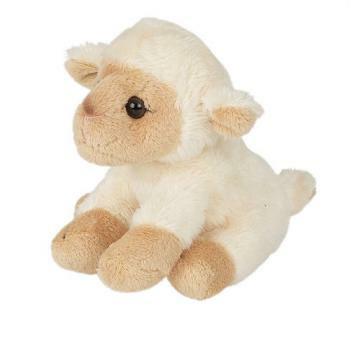 Lamb is sewn from a soft, velvet smooth plush in biscuit and white, with delicate airbrush detail. Delightfully hand or pocket sized, your new friend can accompany you wherever you go. Wonderfully tactile - hand wash only.